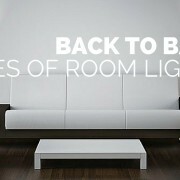 Lighting is an area that many homeowners and businesses tend to overlook when renovating or decorating a room. Yet, with the addition of beautiful indoor ceiling lights or outdoor wall sconces, you can instantly bring more charm and appeal to any location. Available to meet your specific needs, custom made light fixtures allow you to choose a size, style, and design that accents your chosen décor. 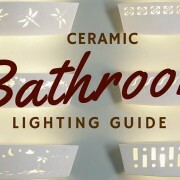 Learn more about affordable ceramic custom lighting for residential or commercial properties. Ceramic custom lighting can be used in any room, indoors or outdoors. They offer an affordable way to start decorating the interior or exterior of your property. You get to decide on the size of the fixture, the shape, and the cutout. This includes custom cuts, such as monogrammed wall accents. You could use monogrammed room numbers or floor markers in a hotel or office setting. Other options include personalizing the lighting for your children’s bedroom or choosing the perfect design to complement your newly remodeled kitchen or bathroom. The options are only limited by your creativity. 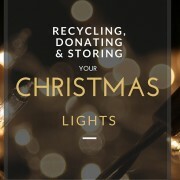 Along with designing your own light fixture for your home or business, custom light fixtures also make great gifts. 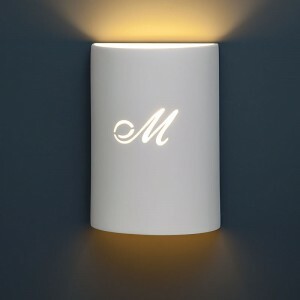 You could choose wall light fixtures for a friend or family member that recently opened a new business or purchased a new home – or for any other special occasion. They are a thoughtful gift for first time home buyers, as they have yet to begin decorating their home. A set of lovely custom wall sconces will give them an attractive option for getting started on their interior design. Choose your shape, font style and cutouts or call for further options. When selecting the style and design for your ceramic custom lighting, consider whether the light will be used indoors or outdoors. Indoor ceiling lights and custom wall sconces are available in a wide selection of styles, shapes, and designs. 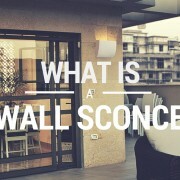 Choose between sconces, ceiling lights, and other wall light fixtures. Ceramic bowl sconces look great in any setting and bring class to any room. 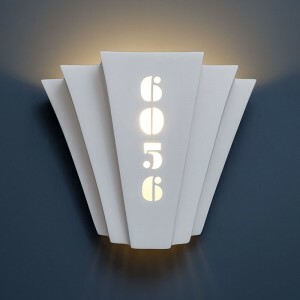 Along with bowl sconces, you will find various patterns, shapes, and cutouts to choose from. This includes personalized cut outs, geometric patterns, and whimsical designs. Along with these options, consider adding decorative indoor ceiling lights, such as beautiful handmade chandeliers and pendant lights. In addition to spending time planning the décor for the interior of your home or business, do not forget to consider the exterior. Custom outdoor wall sconces and other exterior wall light fixtures will help beautify the outside of your property. 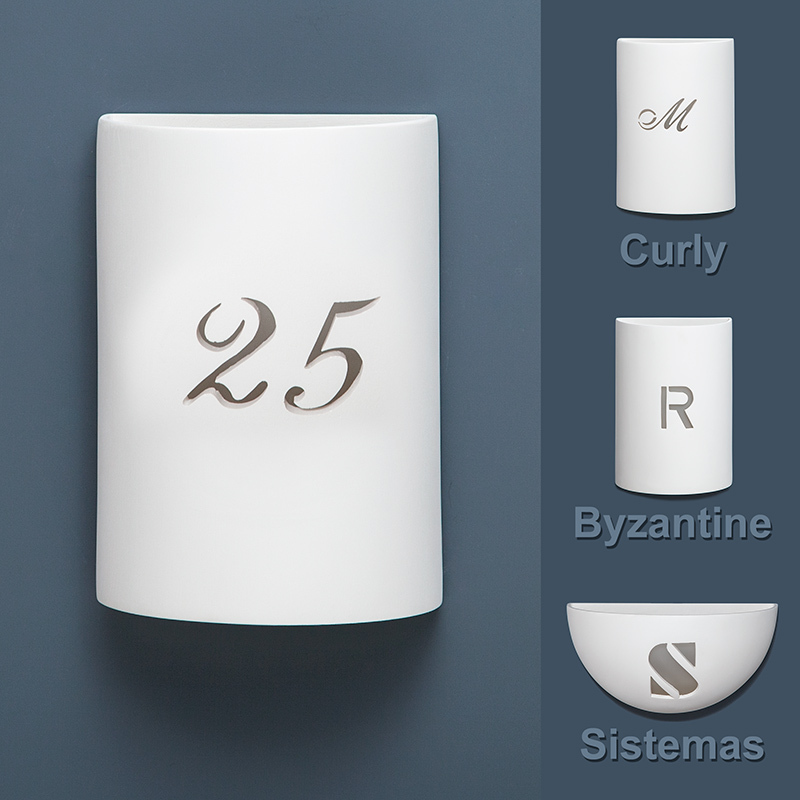 For your home, browse cylinder ceramic sconces, along with unique and original designs that can easily be customized. You will also find options for security custom lighting for your business or commercial property. If you are looking for a way to bring more charm or appeal to a particular room or the exterior of your home or business, start with gorgeous handmade custom sconce lighting and other styles of custom made light fixtures. All of the available wall light fixtures are handmade to order with your custom choices and personalization options included. 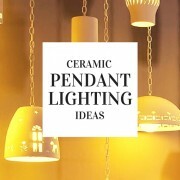 Contact the ceramic custom lighting experts at www.Fabby.com today to request your individualized lighting or talk to an in-house designer for help choosing the right look for your home or business. 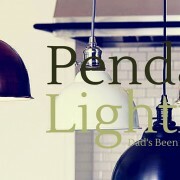 Dad's Been Shopping for Pendant Lighting. You know what to do.